The mega mile monster bicycle ride that starts in Markleeville and crosses 5 major mountain passes is July 13, 2013. Registration begins December 13 at 10am. This event will likely fill within 2 hours, so mark the time and bookmark the link. The 5 pass course is 129 miles with 15,000+ feet of climbing. 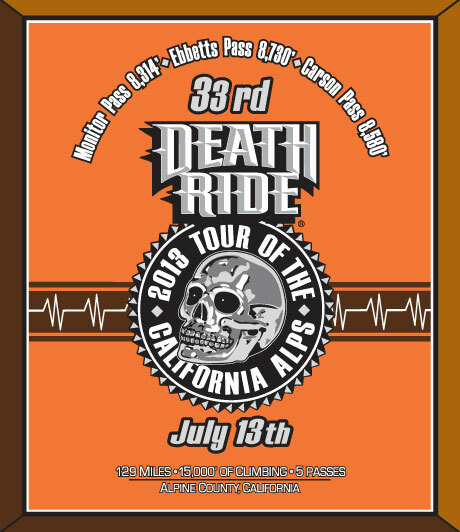 Riders will begin by going over and back on Monitor Pass, then over and back on Ebbetts Pass. With these passes completed, riders will pass Turtle Rock Park and out to the summit of Carson Pass before returning to Turtle Rock Park. Riders may opt to ride fewer passes as the day progresses. If you bail early, Turtle Rock Park is a fun place hang-out. You can also camp the night before at Turtle Rock Park on a first served basis. 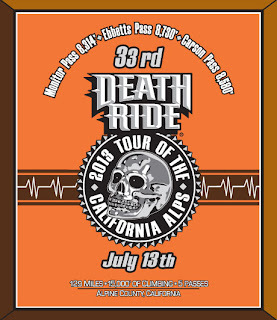 Visit the Death Ride Tour of the California Alps website for complete ride information.